Buster+Punch Brings Rock & Roll-Inspired Outlets Switches to U.S. Inspired by the founder’s love of rock and roll music, the Buster + Punch Electricity collection of outlets, switches, and dimmers are now available in the U.S. market. The home fashion firm’s Electricity pieces are made from solid metal, and toggle and dimmer knobs feature signature Buster + Punch knurling. 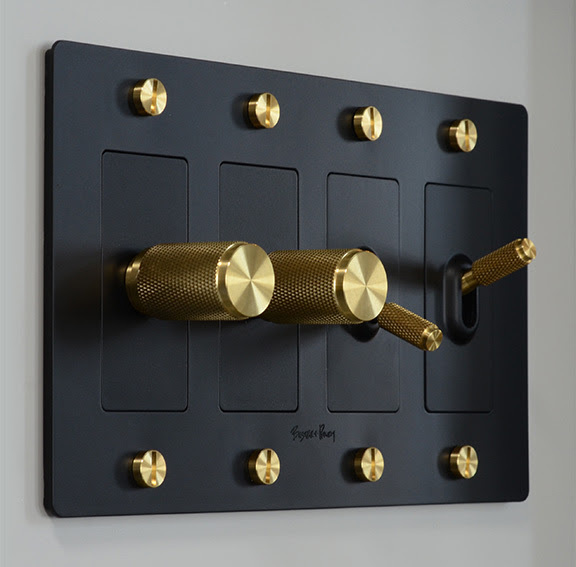 Metal wall plates are accented with penny button screws that can match the color of the knobs. Finishes such as steel, brass, smoked bronze, black, and white can be paired into 11 different color combinations. Buster + Punch’s designer and founder Massimo Buster Minale used details from the rock and roll music world when designing the Electricity collection. The dimmer was inspired by guitar knobs, while the toggle switch mimics those on vintage amps. The modular collection can be specified in a number of configurations, combining switches and dimmers with outlets and USB ports. 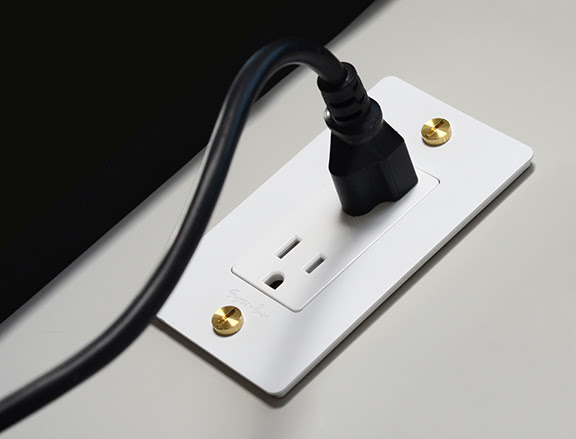 Formerly available in UK and EU models, the collection’s plug sockets and wall plates are now code approved for use in the U.S. market. Traditional sockets and USB ports come in two- or four-gang configurations, or two of each can be combined together on a single plate. Dimmers come in single- and double-gang options, and toggle switches are available in single, double, triple, and 3-way switch options.